Do you have some bunk bed decisions to make? Come and have a look at the six bunk beds at the top of our must-have list. We were more than a bit excited to find this modern and stylish piece from the My Place range at Domayne. It’s not too tall, it’s available in four colours which will please both the neutrally-inclined among us as well as those who like our colours bright, and it comes in both single and king single options. The single bunks are $1099 and the king singles are $1299. 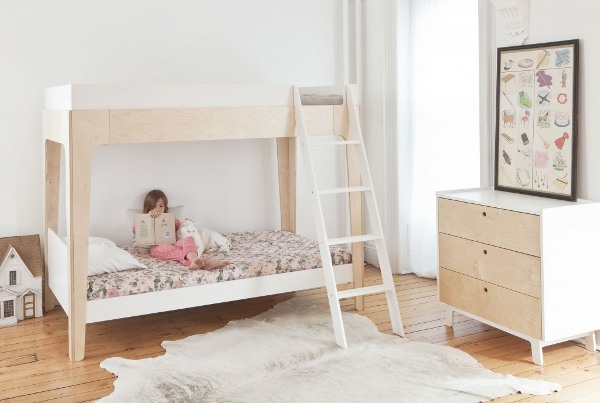 The lovely Oeuf Perch bunk can be configured in a number of different ways, which, along with its small footprint, makes it a fabulous choice in a bunk. It comes in two different colour combinations and of course, it fits seamlessly with everything else in the Oeuf range. This one will set you back $1999. 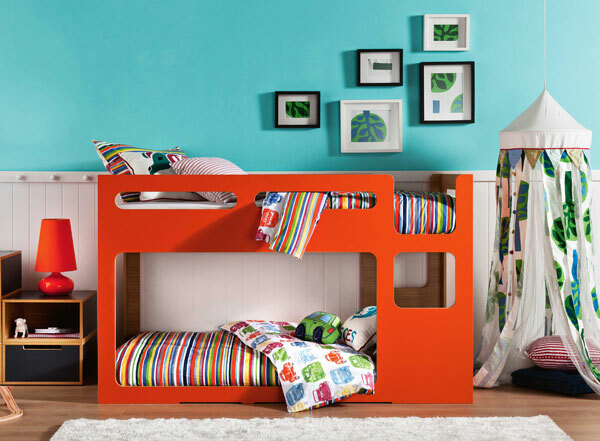 How about the gorgeous Scoop bunk bed from Lilly & Lolly? It’s sleek and slimline and there’s a whole range of furniture to complement it, in a variety of finishes. It doesn’t come cheap though – this beauty will set you back $3250. This one hails all the way from Canada – it’s the Pluunk – which is also the sound my heart made when I saw it the first time. Such amazing international architecturally designed furniture comes with an equivalent price tag – CAN$4400! Still, it never hurts to dream, and you can get it shipped to Australia, if any of you have a lazy $4K burning a hole in your wallet! Right at the other end of the price spectrum is the Convertible BunkCot for $965. 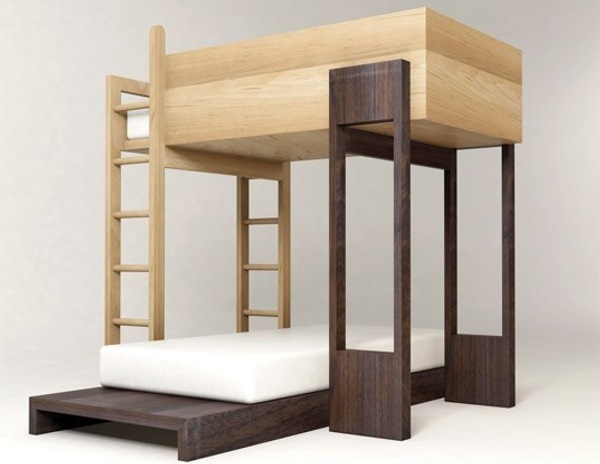 It’s the only bunk bed we know of which gives you the option of pairing a toddler sized bed with a cot in a bunk formation. Space conscious families are sure to love this one. This stylish little number from House of Orange is a nod to Danish design, and comes in a variety of neutral colour combinations. They’re made to order and we think their minimalist style would happily see a child through into their teenage years, which is always a plus when buying furniture. The basic combination is $1850 and there are trundles available too.